Florida: A Fabulous State of Well-Being! 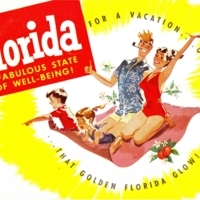 Florida state brochure titled, "Florida: A Fabulous State of Well-Being!" The brochure includes a welcome note from then Governor LeRoy Collins (1955-1961).